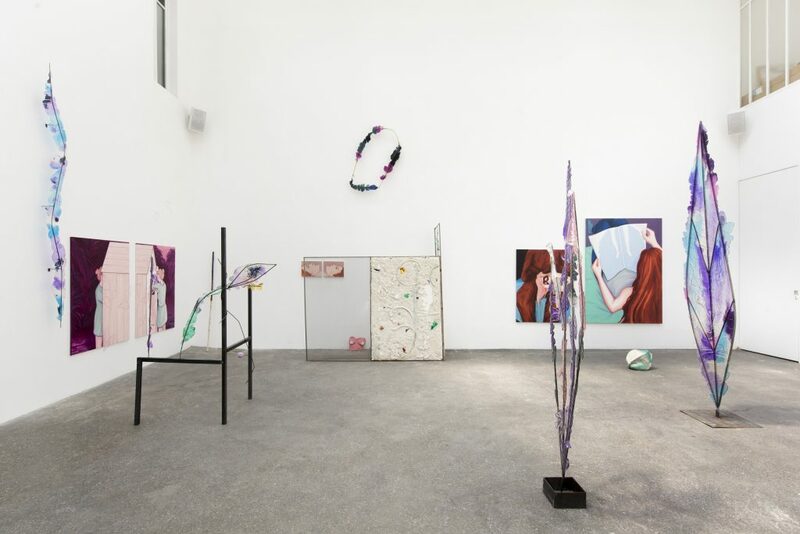 The exhibition The Smell of the Moon brings together works by two young artists, Lise STOUFFLET (F. b, 1989, lives and works in Paris) and Romain VICARI (B – I. b, 1990, lives and works in Paris). 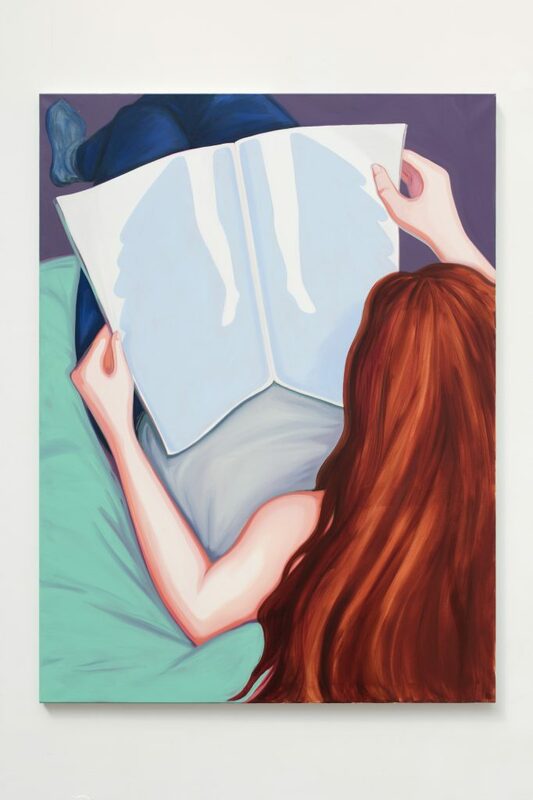 She is presenting a collection of new paintings, and he, new sculptures, the close connection between both sets of works being explained by the fact that the two artists are a couple. 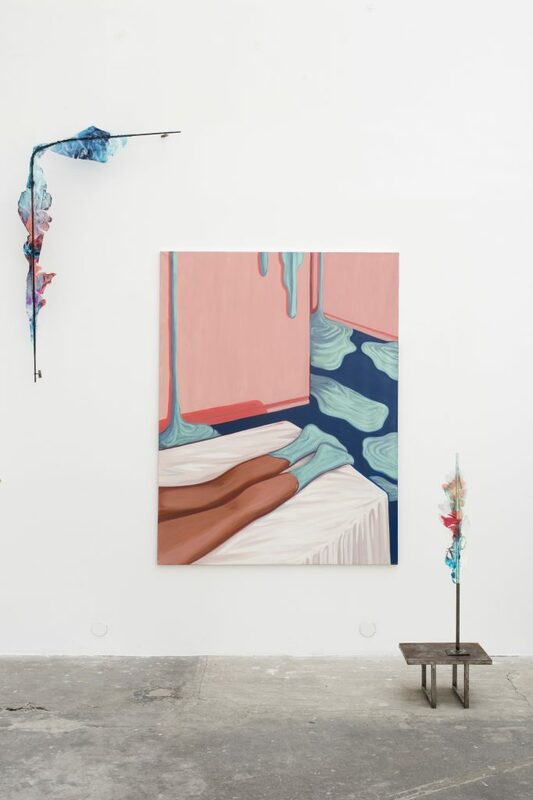 Lise STOUFFLET has already established a very distinctive style through her choice of colours (pink, blue…), her fluid and falsely detached touch, her set of themes (childhood, animality, sexuality), the seemingly calm atmospheres she creates, her enigmatic universe, which gives off a diffuse feeling of fear and threat. 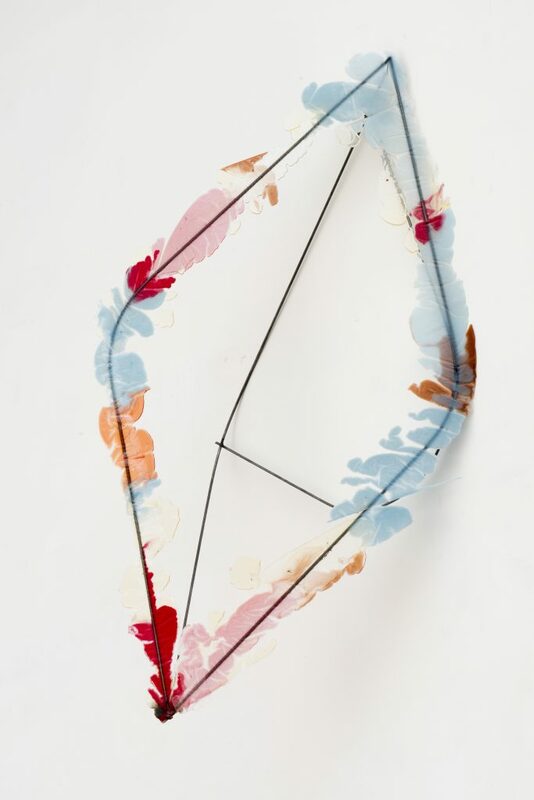 Although the themes she explores in her work are subtly perceptible, she treats them metaphorically. Her universe calls upon memories and intimacy, but her intention is not to talk about herself. 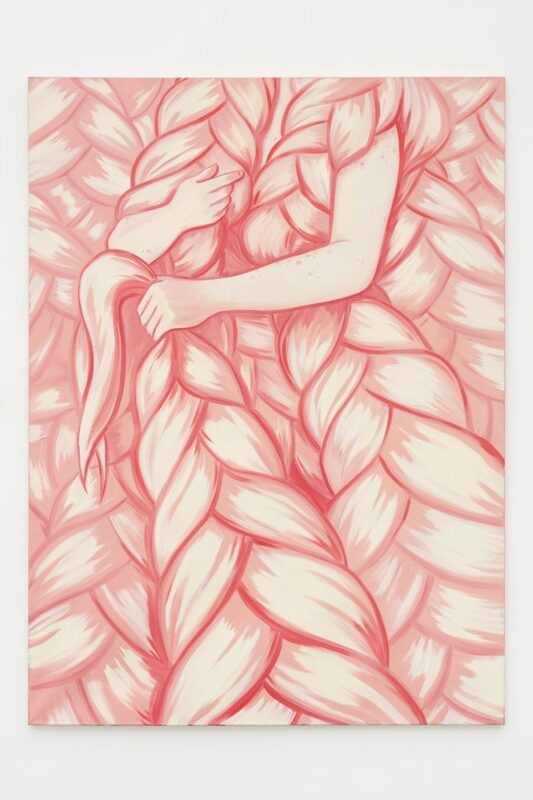 She lets viewers give their own interpretation of her works; they are free to call upon their emotions, their memories, and sometimes even their anxieties. Informed by psychoanalysis, the unconscious and the theme of dreaming, Lise STOUFFLET explores the recesses of the collective unconscious. 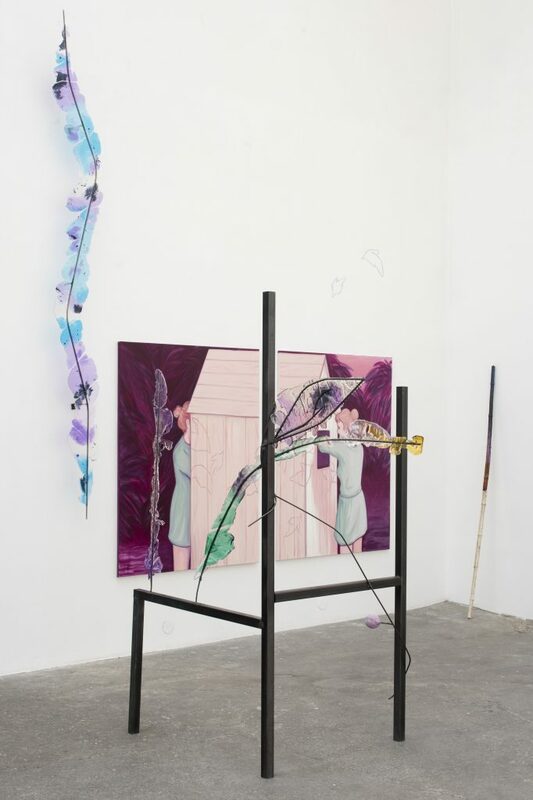 Lise STOUFFLET creates scenes, environments, in which figures are caught in an intelligible story but without a connecting thread. 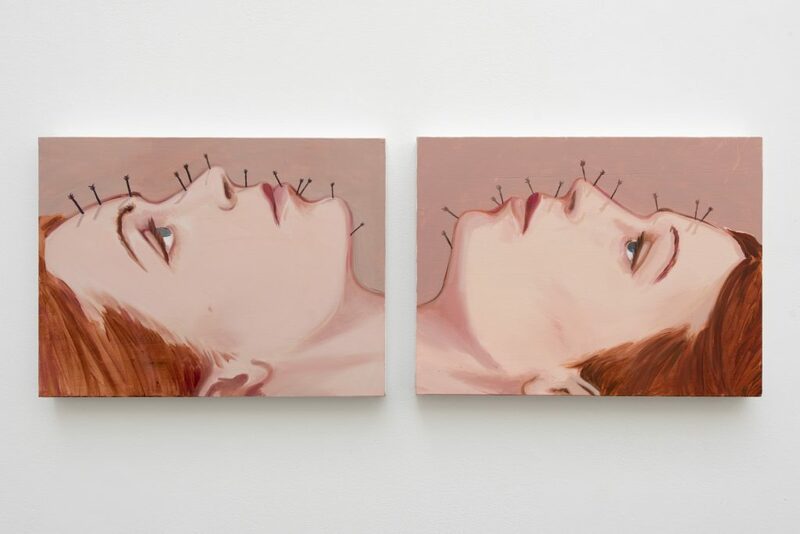 The artist intentionally leaves a window open for various perceptions of the same simple scene and allows herself not to explain everything so as to lose viewers, allowing them to add the missing pieces to the work. In Big Birdhouse, Balançoire and Quatre Mains, the characters are in action rather than waiting for action, as though the action had been suspended. As if in between a light colour and a very light colour, the plot which emerges from these works leads us to a new mental space and questions the idea of projection and looking. An almost ironic connection is established between the characters, which has to do with ritual and playing. They share strange, often symbolic moments: the entry into a house, a glance, some form of entertainment. Romain VICARI’s installations combine luminous, colourful spaces with a personal universe, which emphasizes his Brazilian origins. His artworks are inspired by his almost daily observation of public spaces, particularly abandoned building sites and other such sites; the artist regards these places as ephemeral laboratories. A close proximity ties these works to the urban context, the dynamics of the metamorphosis of cities, and their empirical apprehension by Romain VICARI. Architecture, materials such as plaster, concrete, and steel, colours and shapes which he comes across on the various sites constitute an infinite source of inspiration for him. 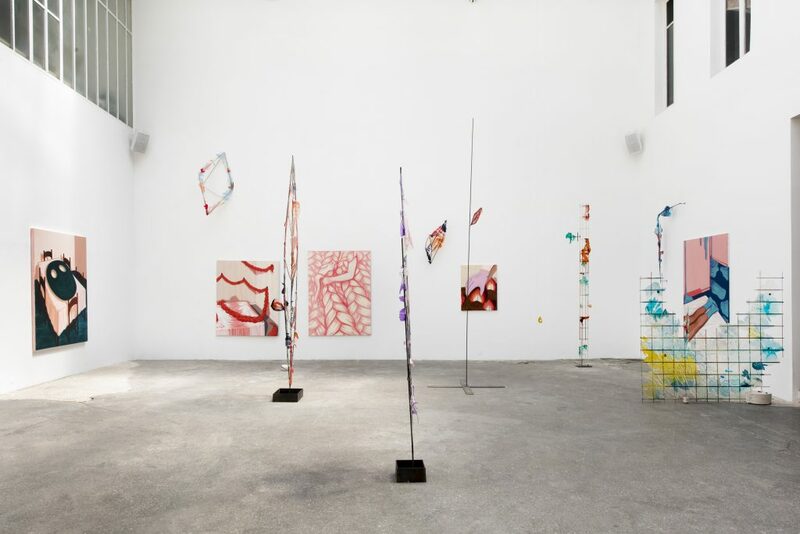 Like a compromise with – and contradiction of – the principle of the white cube, his site-specific works adapt to the place which the artist seeks to parasitize, and to confront through experimentation. Romain VICARI records an idea inspired by the site and then materializes it to leave a trace there. His resin installations, which play with light, are witness to contemporary anomalies, like a mutation towards four-dimensional painting. 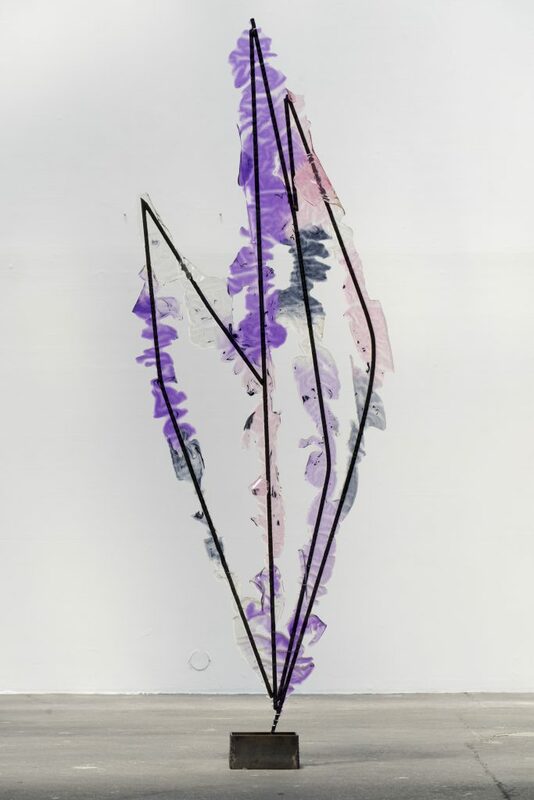 This painterly aspect produces an ambivalence between delicacy (in the colours and shapes) and crudity (of the metal and resin). 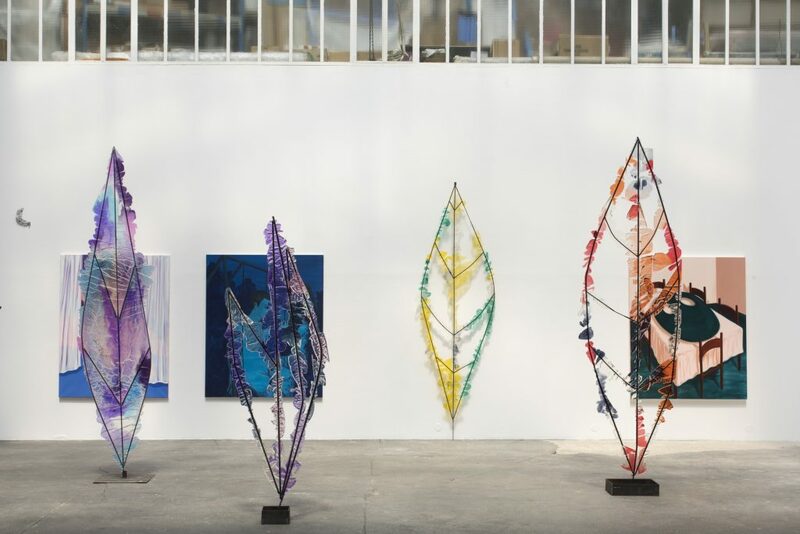 Thanks to his investigations, the artist appropriates objects which he exploits through an organic nature inhabited by plants, overflowing with lightness, colourful matter, and elegant torsions, incorporating itself to the steel bars which structure his shamanic installations. 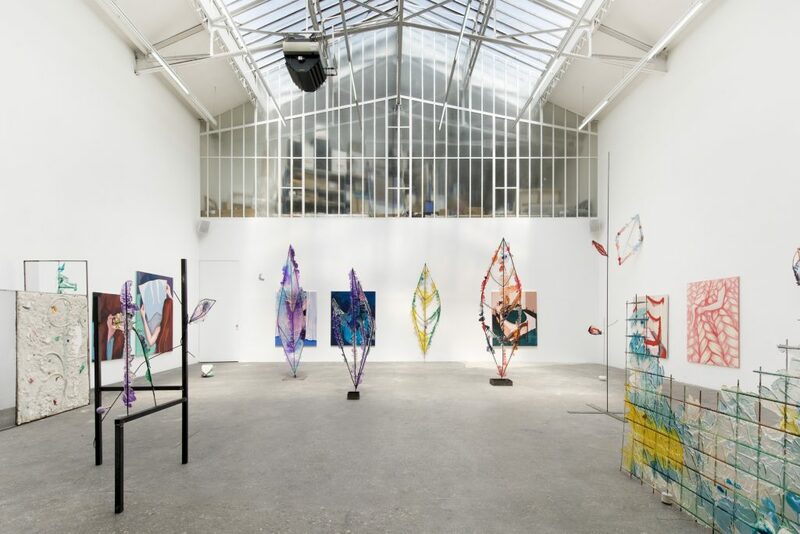 Lise STOUFFLET and Romain VICARI Exhibition view the ‘Smell of the Moon’, Galerie Bugada & Cargnel, Paris.